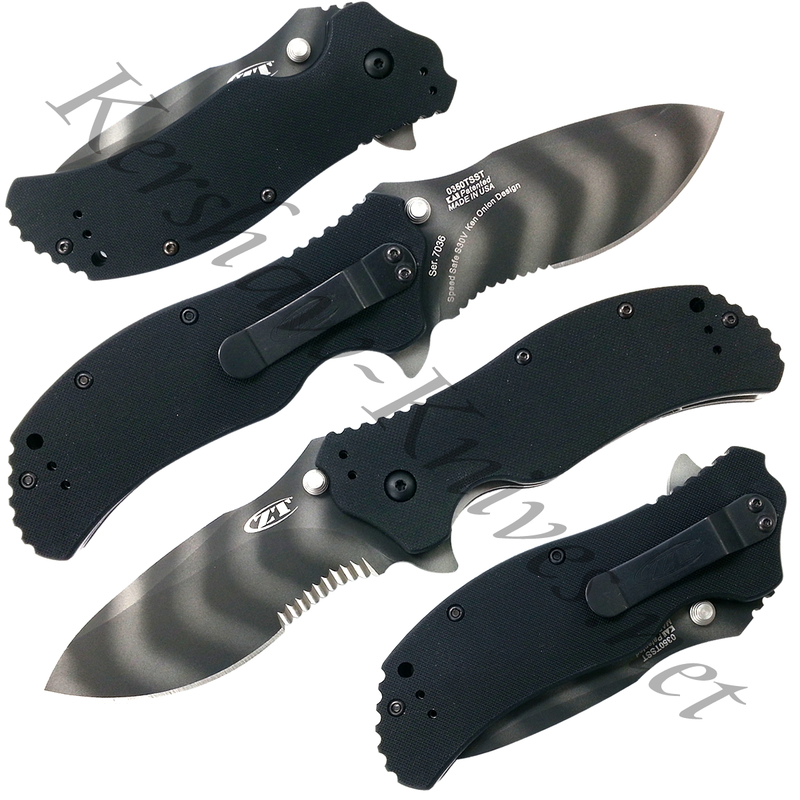 Zero Tolerance 0350TSST is a Tiger Stripe Finish serrated blade. It has the SpeedSafe® for one-handed assisted opening with the large, ambidextrous thumb stud or blade protrusion. The blade is S30V stainless steel with the black Tungsten DLC which is non-reflective, enhances hardness, and reduces friction drag. The handle has textured, matte- BLACK G-10 scales to provide a secure grip. A quad mounting system for tip-up, tip-down, left- or right-handed clip carry is available for you to choose how to assemble the pocket clip.